Those only vaguely familiar with the Biblical record of the Christmas story may actually be unaware of some of its most spectacular and surprising elements. You may recall the birth of Jesus involved a virgin mother, angels, wise men and a few shepherds. What you may not realize is that the story of Jesus’ birth is designed to communicate a contrast between appearances and reality. Those words, “He will be great,” introduce a contrast, because they stand in stark opposition to virtually every expectation. Mary (and Joseph for that matter) were NOT great. They were a poor, Jewish, engaged couple. They did not have remarkable parents or remarkable careers. They wouldn’t be featured on the cover of “Israel’s Rich and Famous.” In fact, you wouldn’t stop to notice them on the street. They were not popular or influential. They were “average” at best, a vanilla couple without any remarkable achievements or rank. And there are other elements of the Christmas narrative in Luke designed to impress us with a contrast between Gabriel’s words “He will be great” and the present appearances. Take the shepherds for example. 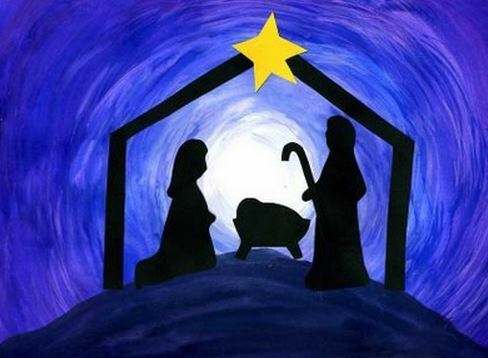 Jesus’ birth was not announced to the local nobility, the town government or religious leadership. Rather, the news was given to shepherds. In this culture, the “shepherd” was the low-man on the totem pole of society. They were typically uneducated. Most Biblical and historical scholars describe them as social “outcasts.” Religiously they were considered “unclean,” meaning that they were not permitted in the temple to worship or to have contact with other worshipers. Announcing the birth of Christ to this motley crew of misfits placed this child on the lowest step of the social ladder in life. It is really only when we understand this context that we can appreciate the remarkable nature of Gabriel’s words to Mary, “He will be great.” Really? This baby? Are you sure? If I were Mary I would have laughed. But yes. Gabriel was sure. And yes, He was great. What does all this have to do with Pharmacy? The connection to pharmacy is the contrast between reality and recognition. The Christmas story is a story of contrast between reality (who Jesus really was and would become) and recognition (what He appeared to be given the circumstances). Pharmacy, in some ways, is in a similar situation. Right now the profession of pharmacy is in the midst of an enormous struggle over the issue of recognition. We see it in the battle for “provider” status, which would open the door for pharmacists to provide billable services to assist patients managing their medications. But we see it in other ways too. 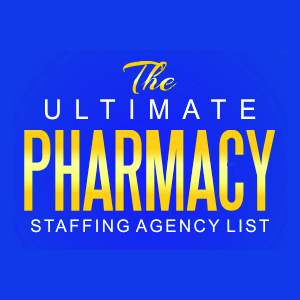 Many pharmacists are working in atmospheres that are so poorly staffed that patients are frequently in danger. Insurance companies continue to squeeze reimbursements so tightly that pharmacy ownership is just a dream for some (and a nightmare for others). Many of our professional organizations no longer seem to support the individual practicing pharmacist, but rather the corporate or academic agendas which are ruining our careers. But I want my fellow pharmacists (and pharmacy techs for that matter) to know that their REAL VALUE is not connected to the immediate outward circumstances we work in. Greatness is about doing the right thing, regardless of the circumstances. I see pharmacists doing that every day. Helping patients, helping people! Not because we are necessarily paid extra to do it, but because it is the right thing to do. Making that extra phone call, taking a moment to explain a new medication, following up on a sick child, staying late to help a patient, checking into insurance options. The list goes on and on. Things are not always how they appear. The Christmas contrast was in many ways unique. But in other ways it is lived out in the day to day lives of those care enough to give themselves for others. Live up to your potential and values, not down to the level of what others are saying. Be that Christmas contrast today.